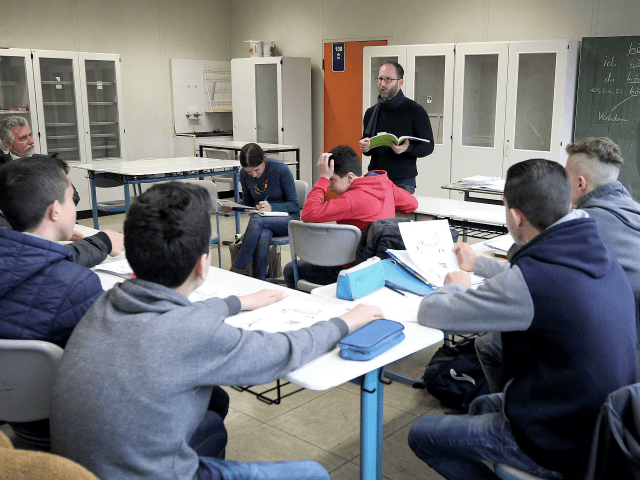 Swedish journalist Joakim Lamotte has spent time lecturing in schools across Sweden and claims that violence is on the rise because many teachers have simply given up on attempting to deal with the problem. Mr Lamotte made his comments in a post on Facebook following a series of articles from Swedish broadcaster SVT that highlighted the problem of violence in schools. “I saw a lot of schools in crisis in the years I went around and lectured. I often met teachers who surrendered, while pupils did exactly what they wanted,” Lamotte said, and gave an example of a school where he had lectured saying that pupils felt free to shout at him while at least eight teachers were present and did not act. Lamotte claims he asked the teachers later why they had not kicked out the troublemakers. “Other incidents I have encountered in my work are pupils who became violent at a school in Bohuslän because one day they were only served pork in the dining room,” he noted, and claimed in several schools teachers would not walk by themselves out of safety concerns. “Threats, beatings, and stabbings now occur every day in Swedish schools and it increases dramatically. At the same time, teachers are getting less power while authorities and politicians are completely paralysed,” he noted. In a recent article on school violence, SVT revealed that within the last five years Sweden had seen 224 incidents involving various kinds of weapons including knives. In the last year alone, there were 54 incidents with weapons, the highest of the past five years. Total reports of threats, robberies, and physical violence in both primary schools and secondary schools have doubled within the same five year period according to the Swedish Work Environment Authority. Mr Lamotte also sounded the alarm regarding sexual abuse in Swedish schools in 2017, saying there had been a wave of sexual assaults by newly arrived migrants and that teachers were too afraid to speak out on the issue in case they were branded racists.